Our next influencer is the incredible Hannah Morehart, one of the coolest + driven ladies. She started her own line years ago while still in school, recently moved to NYC, and yet is so humble. I met Hannah my freshman year after reaching out to her regarding her own brand, where we met and have continued to cross paths. Read below to hear advice from a twenty-something that recently moved to a new city, but is still figuring things out and will be the first to admit it. [PS, the above picture is from her senior design project, where she designed + created a complete collection by hand]. Introducing Hannah Morehart, of Ross Stores Inc.
A: I am currently an Assistant Buyer for Ross Stores, Inc. in Manhattan, NY! Long story short, I am being trained to run a smaller business within a corporation. It’s pretty interesting! My career path, like most recent college graduates, is TBA. The biggest thing for me right now is realizing what a blessing it is to have the opportunity to live in New York City in the middle of the fashion industry. But hopefully soon my path will be a little more clear! A: I went to the University of Arkansas and I majored in Apparel Merchandising and Product Development. A: I use negativity in the workplace – whether it be toward me or women in general – as motivation. Regardless of the situation, I always try to pick out my strengths and let them shine. In the end, negativity won’t have to be an issue if you don’t let it define you or bring you down. A: My grandmother. She recently passed away, but she is one of the main reasons I am who I am today. She taught me step by step how to sew at a young age, spent hours with me talking about silhouettes, textiles, and fabrics, and planted a seed in me that grew into a love for fashion and design. My mom. She’s not only one of my best friends and #1 cheerleaders, but she’s also taught me how to be a Light in a dark world, to look at the positive in every situation, and she’s also given me someone to look to one day when I get to be a momma! Last, Diane Von Furstenberg. She took her passion for apparel and design and revolutionized the dress by creating the “wrap dress” silhouette that is now deemed a classic. She has also made an empire of not only apparel, but jewelry, handbags, and even luggage. Pretty cool, huh? A: I go outside and I explore! There is so much to see in the world and you will miss so many things if you are looking out of a car window. I love to walk and venture to places I’ve never seen – especially in the city! A: Always remember to stay positive. You will not always be in your dream job or ideal position, but stay positive and work your tail off and you’ll get there. BUT the most important thing I would tell myself – never forget who you are or where you come from. You will be so much happier and will be so much more successful if you never fall into the trap of camouflaging into the crowd. However, since moving away from home, it has become so evident that the people who love you the most and who are cheering you on nonstop are those who have watched you grow into who you are today. Those are the people who should matter most in your life. A: Girl em[Power]ment, to me, means that every girl is different; however, every girl is just as talented, beautiful, and means just as much as the girl standing right next to her or staring at her from the cover of a magazine. That is what should be taught and made evident. I especially love this profile because it is evident that even twenty-somethings in the work place realize it’s important to know that Girl em[Power]ment is about much more than just rising to the top, but also recognizing that other girls standing and rising next to them can get there, too. 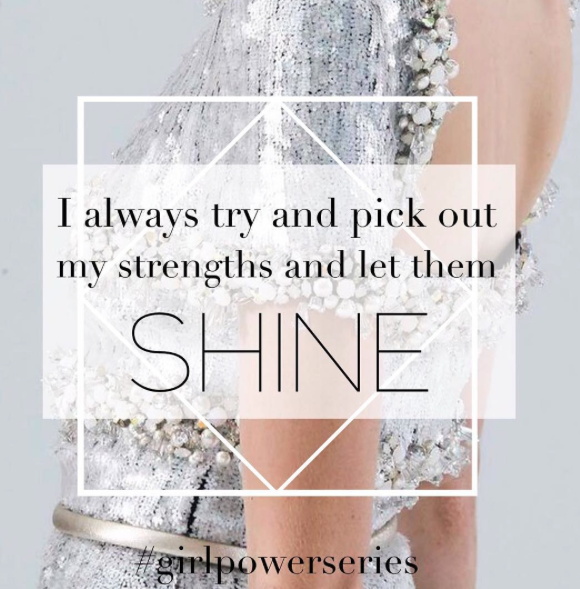 Posted on September 30, 2015 October 12, 2015 by flancake13	This entry was posted in Girl em[Power]ment Series and tagged flancake, girl empowerment, girl empowerment series, girlpowerseries, hannah morehart, houseofhannah, nyc, ross stores. Bookmark the permalink.